The UK aid budget: Is this the end of the Gleneagles Consensus? EDITOR’S NOTE: Primary elements of the Gleneagles Consensus will likely be challenged as the debate on the future of U.K. aid broadens and intensifies, Overseas Development Institute Director of Research Andrew Norton writes. Over the past couple of weeks a range of commentary in the UK media has addressed the how, why, what – and particularly the ‘how much’ – of the UK aid budget. There have always been some elements of the political spectrum that were not happy with an increasing aid budget, and the change of ministerial guard provides a clear moment when this can be voiced, so arguably there is not much that’s new, or even unexpected, here. The incoming minister, Justine Greening, has made it clear that the coalition commitments (including reaching the United Nations (UN) target of 0.7 per cent of gross national income (GNI) in aid in this parliament) will stand. Reports indicate that Prime Minister Cameron will reiterate this position – and the broader case for aid – at the UN General Assembly today. 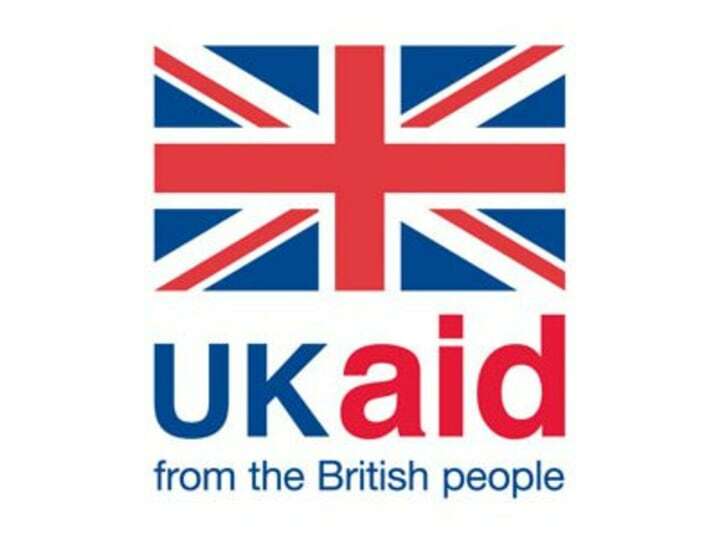 is an increasing UK aid budget a good thing? where is the debate on aid in the UK heading – and how should we respond? The evidence is positive that aid, well-managed and well-directed, does make a real contribution to development and poverty reduction. According to Joel Negin of the Development Policy Centre , the biggest success story in development over the past 20 years has been the global reduction in child deaths. The UN estimates that the number of deaths of children under five years old fell from 12.4 million in 1990, to 7.6 million in 2010, a reduction of almost 40 per cent. Some have argued that the contribution of aid to this wonderful story is minimal, but this makes little sense given that the health budgets of the poorest countries have been very substantially supported by donors. In Rwanda, where average life expectancy increased from 26 years in 1994 to 50 years in 2008, the proportion of total health expenditure from external sources (public and private) increased from 5 per cent in 1995 to 54 per cent in 2009. Research funded by aid donors also played a central role in developing some of the key technologies responsible for this story (for example impregnated bed nets to reduce the incidence of malaria). Stronger ‘human capital’ (healthy, educated citizens) is also a key factor in promoting economic development. Clearly it is a factor that matters to prospective investors, as well as being a good thing in itself. If the general sense of wellbeing promotes more social and political stability, then so much the better. It is entirely plausible that one significant factor behind the spectacular growth rates we have seen in manyAfrican countries over the past decade is the improvement in ‘human capital’. Again, there are many other factors which probably helped (the telecommunications revolution, new sources of private investment etc), but that in no way invalidates the basic point. Of course aid is still wasted or badly spent at times. The most important elements of impact are the decisions about direction – are you clear about your goals? Does the ‘big idea’ behind the investment work? This is why it would be wrong to cut spending on the research and development work that produces better results. An effective aid programme is not likely to be one that spends every possible penny on direct delivery in poor countries – which seems to be an implicit measure of validity of aid for many of the critics. Increasing aid spending at the same time as cutting social services was always going to raise questions of priority. There was always a danger that aid spending would become a lightning rod for public unhappiness with austerity policies at home. So does it make sense to continue to increase the UK’s aid spend? The UK’s global leadership on aid and development, which reached its peak visibility at the2005 G8 summit at Gleneagles, has played an important part in the way the UK is perceived, and broadly it has created a positive impression. It’s healthy to be known for something other than finance and arms industries, surely. And UK leadership has played a major role in making the global development architecture work better (particularly through being an effective board member of international financial institutions such as the World Bank). This engagement has also helped the global community be more effective at dealing with a range of issues that affect the UK directly including climate change, insecurity, and the control of communicable diseases. And of course reducing global poverty is a reasonable goal to most people. The UK has given real leadership on a global scale over the past decade. But the political risks remain considerable. And there are some elements of the UK approach over the past decade that cause concern. Doubling the UK aid spend with a flat complement of staff (a decision taken under the last government) while also setting out to increasevalue for moneywas always going to be tough for the Department for International Development (DFID) to implement. The delivery of aid under these circumstances was likely to lead to more outsourcing of administration and technical support – whether through multilateral institutions such as the World Bank, or through private-sector consultancies, or voluntary agencies. Giving DFID strict limits on the number of people it can employ as its budget increases pre-judges the answer on the best way of delivering aid in many situations. It would be helpful to see more flexibility on this issue. There is also a real debate to be had about the scale and pace of the increase. Improving quality and impact is ultimately more important than increasing the volume of aid, as is maintaining public support and engagement. We should acknowledge that DFID’s officials and ministers have put considerable effort into the value for money agenda over recent years, both in terms of measures to improve economy (the cost of inputs) and measures to ensure money is spent on the right things. Raising aid volumes only makes sense if the other parts of the picture (quality and public engagement) are not compromised. the UK should take a lead role. All elements of this will increasingly be challenged. On the purpose of aid, there is a really big challenge. All developed countries are increasingly making commitments to spend money on climate action in the South. Much of this money can be counted as aid (many developed countries will very likely hit the 0.7 target purely as a result of increasing levels of climate finance). So it is inevitable that the debate about the ‘ends’ of development will evolve. Climate finance (particularly on climate-change mitigation) does not tend to get spent helping the poorest people or the poorest countries. On the meansof delivering real development progress, we know that there are also significant changes: a rebalancing of global economic power; increasing recognition that factors other than aid, especially business, can play a crucial role in promoting development; and the emergence of new actors engaging in poverty reduction. In terms of the UK’s role, the changing global balance of economic and political power requires a change in mind-set. Global leadership will be needed more than ever to create the conditions for peace, security and the realisation of human rights, to bring anthropogenic climate change under control and deal with its human impacts, to create a world where new global challenges can be addressed effectively. But champions for global action can no longer be drawn exclusively from the old ‘G8’ grouping. Where a G8 country such as the UK wants to lead, it must do so through working with others – from Asia, Africa or Latin America. And it must be seen to work alongside others in the right way, with respect, and the sensitivity sometimes to step out of the limelight and support others. The coming years will hopefully see agreement on a broad strategy that can be supported through changes of political administration. That strategy will be different in fundamental ways from the cross-party consensus on development of the past decade. But if the UK abandons the moral purpose that it showed at Gleneagles, it will be a mistake. Republished with permission from the Overseas Development Institute. Read the original article.